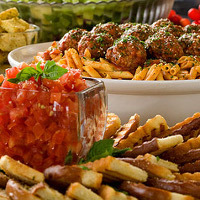 If you are throwing a big party you don't want to have to worry about the food - that's why it's a great idea to hire some of the great catering Staten Island has to offer. 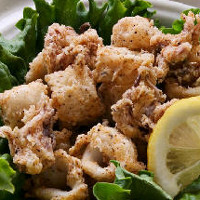 Warm food made on the premises or delivered just in time for mealtime - Staten Island catering is the most relaxing way to deal with feeding your guests. One of the Top Staten Island Caterers! For over twenty years Bario's has been providing delicious cuisine for events of all types. Hire them to cater your event and you can choose from one of their menu packages such as their barbecue/luau menu, cocktail party menu, breakfast and brunch menu and more; or create your own custom menu to reflect your unique event. This professional Staten Island catering company does both on and off-site catering for everything from weddings to children's parties. A special kids menu is available for events that will include the whole family. Good Service and Great Catering in Staten Island! When you are looking for a great catering company in Staten Island look no further than Ariana's Catering! These professionals pride themselves on creative presentation, amazing cuisine and quality service at every event. With world class chefs preparing their varied Italian-American menu you and your guests are sure to enjoy the food. Whether you need food for a small party or an event with hundreds of guests, these caterers can accommodate. Check out their event space - ideal for parties of up to 175 guests!